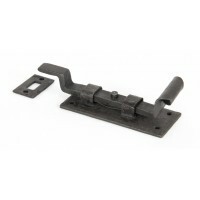 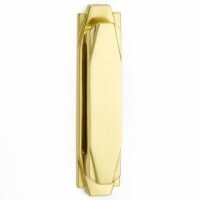 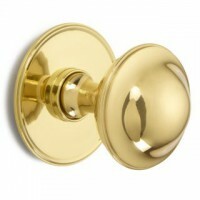 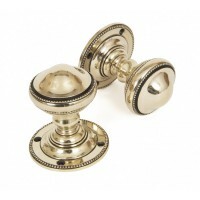 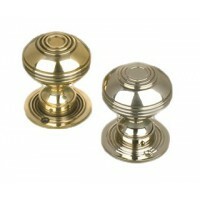 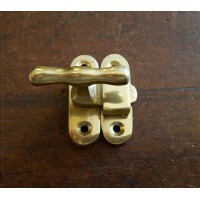 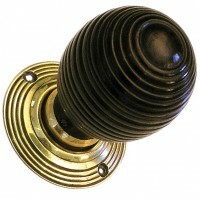 The 'Davenport' Brass Rim Lock is dual handed and hand-aged in unlaquered solid brass. 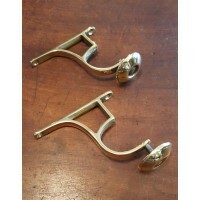 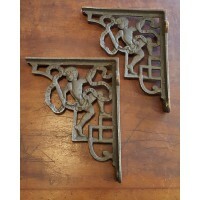 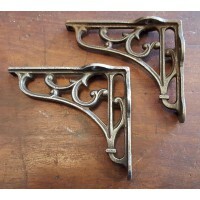 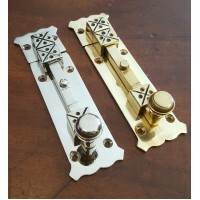 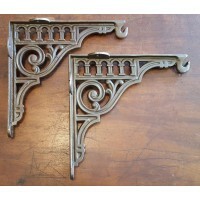 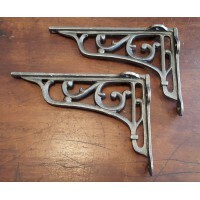 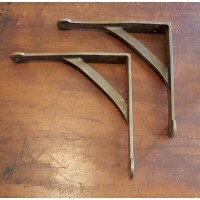 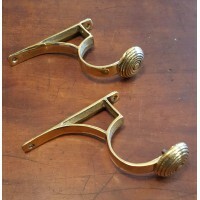 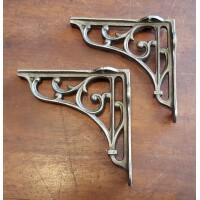 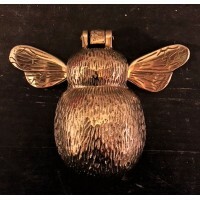 It is..
"Art Deco" Brass Door Knocker - Unlacquered Our British made "Art Deco" door ..
3" Butterfly Hinges - Hand Forged - Beeswax - Pair Approximate dimensions: 3" L x 2&quo..
7" H L Hinges - Hand Forged - Beeswax - Pair Substantial pair of H L Hinges in a beeswaxed h..
Acorn Hook - Tiny - Cast Iron A classic period design, now available in a dinky size. 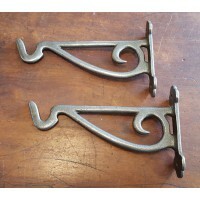 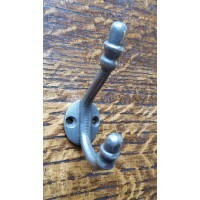 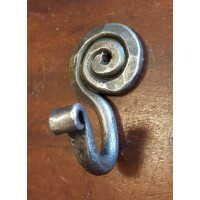 Use in..
'From The Anvil' Door Knocker - Anvil 33610 Antique Pewter - Cast Loop ..
Arch ended brass bell push, lovely simple and elegant door bell, with "Press" cast into th..
Art Nouveau Style Brass Bell Push, a lovely rectangular shaped bell push with elegant Ar..
Our sweet, English made, Bee door knocker would add a charm and charachter to any front door. 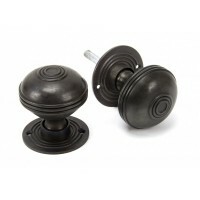 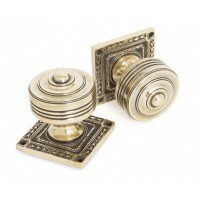 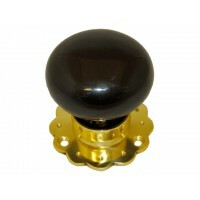 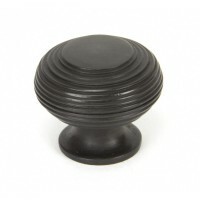 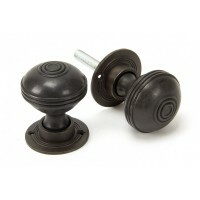 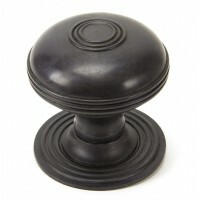 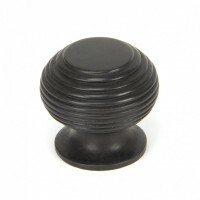 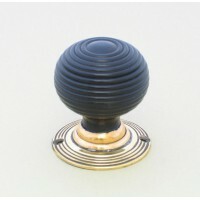 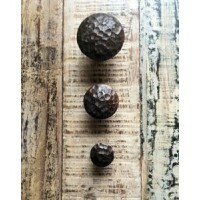 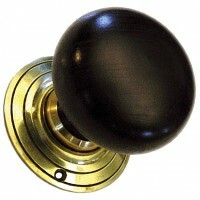 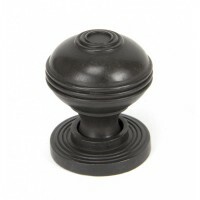 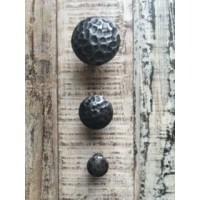 This k..
Our stunning reproduction Ebonised Wooden Door Knobs are expertly aged to look like they have been o.. 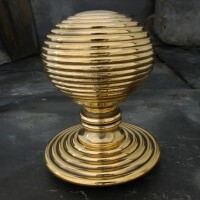 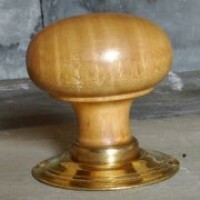 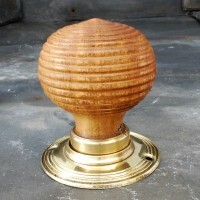 The beehive door knob was a very popular choice in its day for Victorian architects, interior design..
A traditional Victorian round Beehive design with intricate swirl pattern on both the knob and back ..
Beeswax 'Shutter Dog' - Swivel Catch - 90 mm x 45 mm Traditionally used for keeping windo..
Beeswax - Gothic Escutcheon - Covered - Anvil 33865 Gothic Escutcheon is suitable for rim ..
Beeswax - Gothic Escutcheon - Uncovered - Anvil 33864 Gothic Escutcheon is suitable for ri..
Beeswax - Medium Bean Thumblatch - Anvil 33101 Product information Handle Length: 8 1/4" ..
Beeswax - Rim Lock & Cast Iron Cover - Anvil 33180 This rim lock and cast iron cover i..
Black - Medium Bean Thumblatch - Anvil 33176 Product information Handle Length: 8 1/4" (2..
A larger version of our original Octagonal Knob Set which has been given grandeur and made into a re..
Black OR Pewter - Shakespeare Door Knocker - Anvil 33839/33805 This Shakespeare door knocker show..
Used to cover the entrance hole of the pull cord as it comes through from the external wall from a r..
Brass Door Knocker Strike Plate - Are you missing a strike plate for your original door knocker, loo..
Brass Showcase Fastener - Perfect for adding a secure and decorative finishing touch to any little c.. 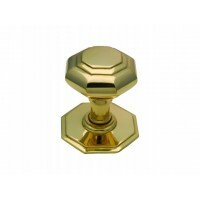 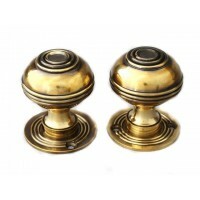 This Edwardian design in oak hardwood is exact in every detail to our bun original but with larger d..
Charming ceramic door knob with a fluted brass rose - a style which was popular in the mid-Vict..
Charming ceramic door knob with a fluted chrome plated rose - adding a modern twist to a style which..
Charming Ceramic Door knob in a Cream Crackle Glaze. 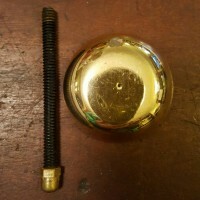 Measures: Rose Diameter: 60mm, Kno.. 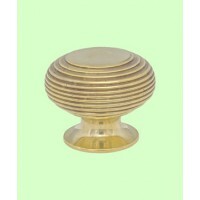 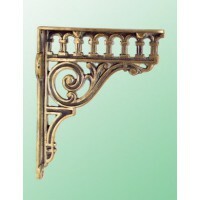 Traditional ceramic escutcheon ion a cream crackle glaze. 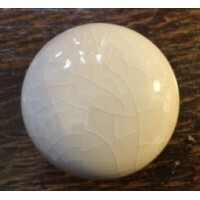 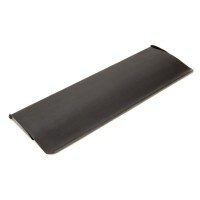 The ceramic cover is attached to.. 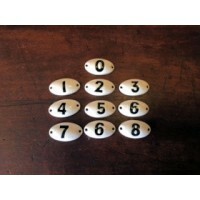 Ceramic Numbers 0-9 Set of oval ceramic numbers. 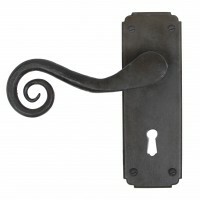 Would suit many applications. 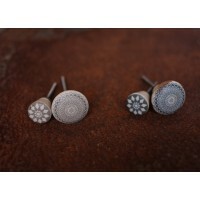 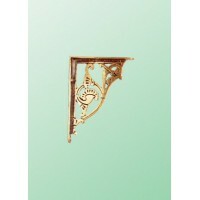 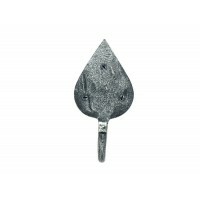 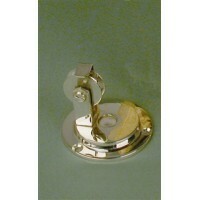 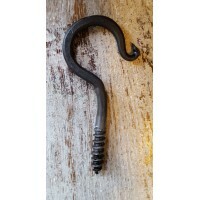 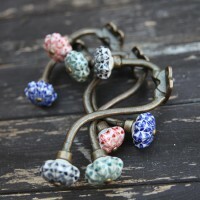 - hook..
A classic period design with a twist, the top hook is topped with a lovely white ceramic shell .. 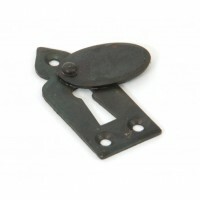 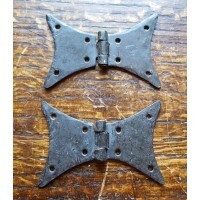 Simple but practical cast iron cleat. 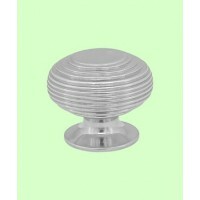 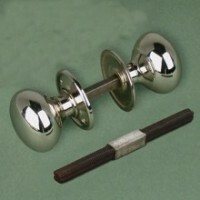 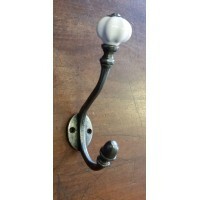 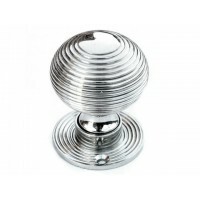 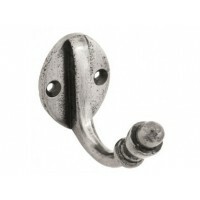 Double hook perfect for tying up loose cords for traditiona..
Cottage Door Knob - Nickel - Large A traditional mushroom shaped knob based on an original Edward.. 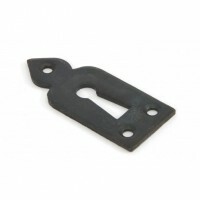 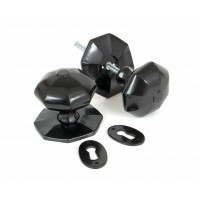 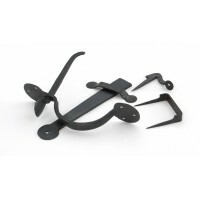 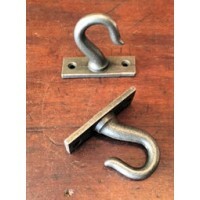 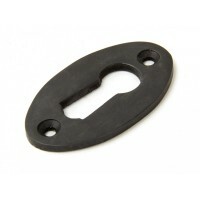 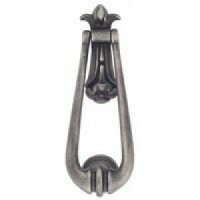 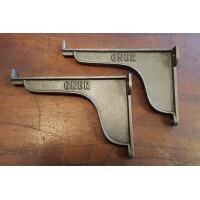 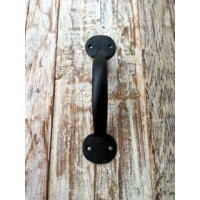 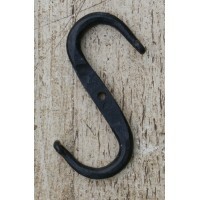 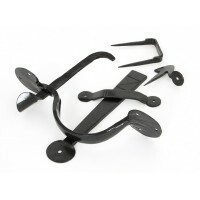 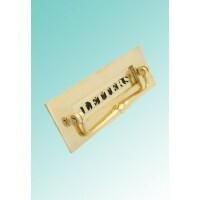 Simple iron 'screw-in' cup hook - ideal for many applications. 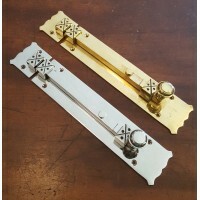 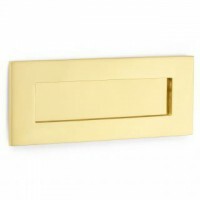 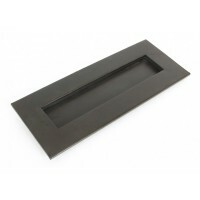 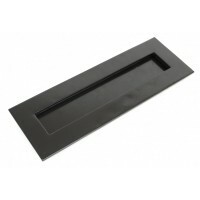 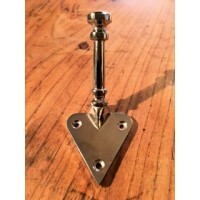 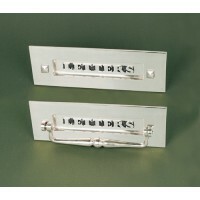 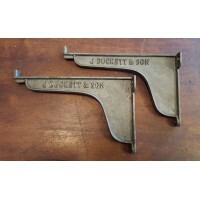 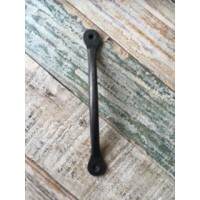 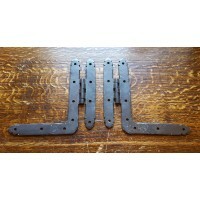 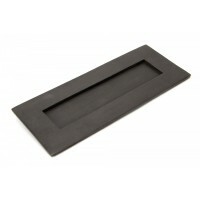 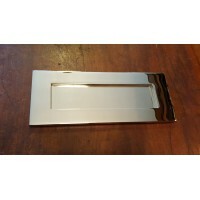 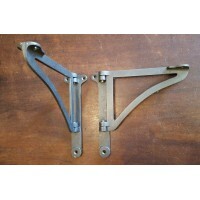 Measures; 30 - 35 mm in di..
All of the traditional, period hardware you’ll find on this site is made from only the highest quality materials and to exacting standards from maximum authenticity. 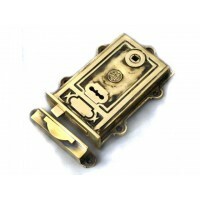 If you have any questions about any of our products or cannot find exact what you’re looking for, please don’t hesitate to get in touch.